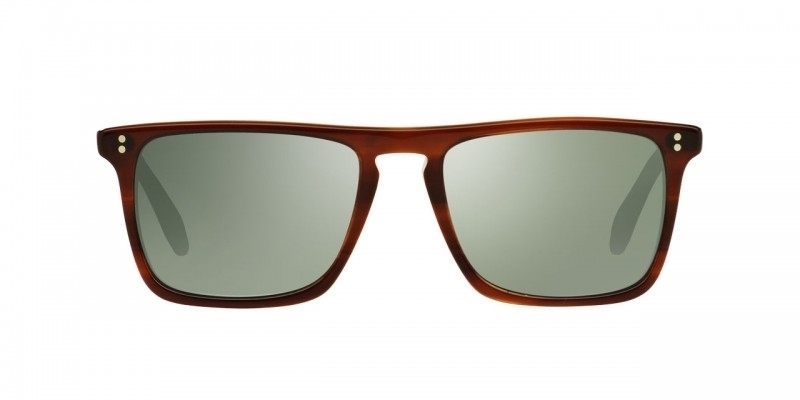 The Oliver Peoples Bernardo OV5189/S is a classic 1970'S style designer sunglass. 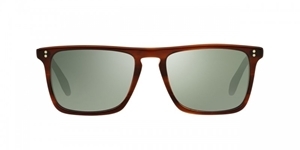 The sunglass features the Oliver Peoples logo on the end tips. The Frames feature a keyhole bridge, so making it suitable for non-european features also. VFX Polarized Glass lenses eliminate reflective glare and optimize visual clarity. Features hydrophobic, oleophobic and anti-reflective coatings, signature breath logo, and 100% UVA/UVB protection. The Oliver Peoples Bernardo OV5189 come with their own branded case, cloth and packaging,and the sunglasses are covered by the 12 month no quibble Sendoptics guarantee. 1003/N8 - Cocobolo coloured frame and brown polarized lenses with a back surface anti-reflection coating.